Our collection of vintage wedding invitations is one of the largest collections we carry. The popularity of vintage motifs has grown so much in the last few years that we have expanded our collection to include a variety of different vintage styles. Inspiration can come from anywhere for vintage wedding invitations! Just ask one of our designers. They have used everything from a great grandmother's photo album to Great Gatsby the movie. What style of vintage wedding invitation are you looking for? Rustic vintage wedding invitations include wood grain patterns, old country lace and distressed backgrounds. This style of vintage is perfect for barn weddings and outdoor weddings. You won't have any trouble finding a design that fits your style and personalities. Art deco vintage wedding invitations feature the stunning, angular illustrations you have admired in the Great Gatsby movie and other. Roaring 20s films. You can't go wrong with art deco designs if you're looking for something glamorous and unique. Floral vintage wedding invitations span many decades. Every era has popular floral patterns indicative of that time period. You will find a beautiful variety of floral patterns and illustrations in our vintage collection. Victorian vintage wedding invitations include elaborate flourishes, damask patterns and even some intricate filigree details. To say they're striking would be an understatement. Guests will have no doubt about your elegant sense of style. 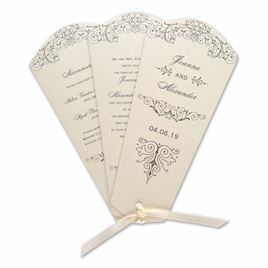 If you like vintage wedding invitations, you'll love our collection of romantic wedding invitations as well. Shop both collections today and find the perfect fit for your wedding celebration.